Epiphone's critically acclaimed Masterbilt Century Archtop Collection has introduced the once-elusive sound of a quality acoustic archtop to a new generation. Featuring solid Spruce Tops and the eSonic™ HD preamp and Shadow NanoFlex™ HD under-saddle pickup system, players who used to admire expensive archtops from afar can now enjoy a totally new acoustic guitar experience that won't break the bank. But as Epiphone discovered last fall during the Americana Music Conference, it's not just rising stars like Margo Price and Shovels & Rope who are turning on to this radical yet old school acoustic/electric guitar. GRAMMY winning artists like Lucinda Williams, Billy Bragg, and Ray Wylie Hubbard are enjoying the new Century sound, too. 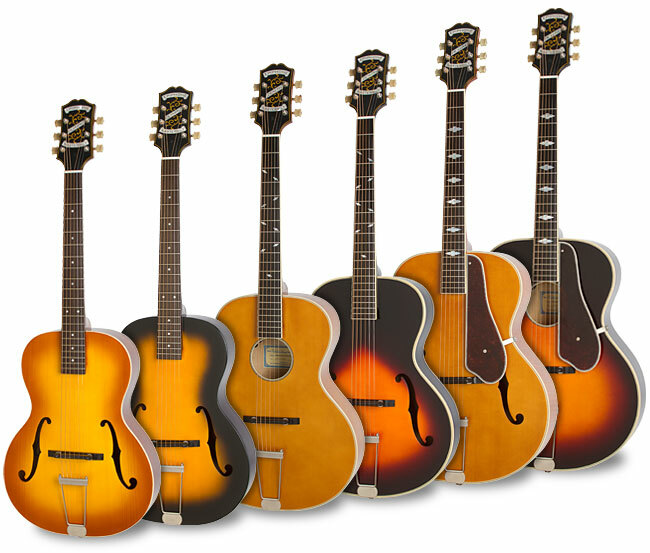 Since the Masterbilt Century line was introduced in 2017, news has traveled fast among the very top Americana players that Epiphone has accomplished what many thought was impossible-- a great sounding acoustic/electric archtop that is not only affordable but sounds great plugged in with on-board volume and EQ that makes getting true acoustic guitar tone through an amp or PA system fast and easy. 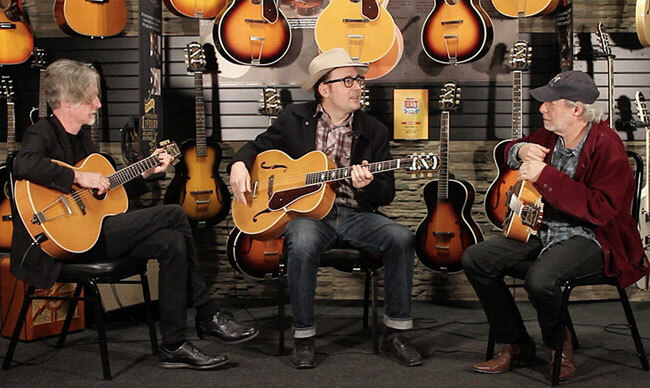 Epiphone invited producer and songwriters Buddy Miller, Fats Kaplin, and Chris Scruggs to check out the Masterbilt Century Collection as a group and tell us their thoughts. We're happy to say the entire Collection-- the DeLuxe, the Zenith, and the Olympic --got a big thumbs up from these legends-in-the-making. We also got a little education into why finding a playable archtop has been so elusive until now. Buddy Miller has been voted Instrumentalist of the Year by the Americana Music Association five times and is an all-star producer, songwriter, singer, and guitarist whose credits include Emmylou Harris, Solomon Burke, and Robert Plant. He recently served as the music director for the hit TV series, Nashville. Multi-instrumentalist Fats Kaplin performs regularly as a member of John Prine's band and won a GRAMMY for his work on Beck’s Morning Phase which also won Record of the Year in 2015. Kaplin was recently nominated for two more GRAMMY's for his work on Robbie Fulks' Upland Stories. Multi-instrumentalist Chris Scruggs, the grandson of legend Earl Scruggs, is a gifted steel guitarist and Nashville's foremost authority on classic country records. Scruggs currently plays bass (!) with Marty Stuart's Fabulous Superlatives when not playing sessions for artists like She and Him, Andrew Bird, and Michael Nesmith of the Monkees. It was not easy to corral these busy players and harder still to get them to stop playing long enough to tell us their thoughts. And when they did, they were constantly swapping guitars back and forth. 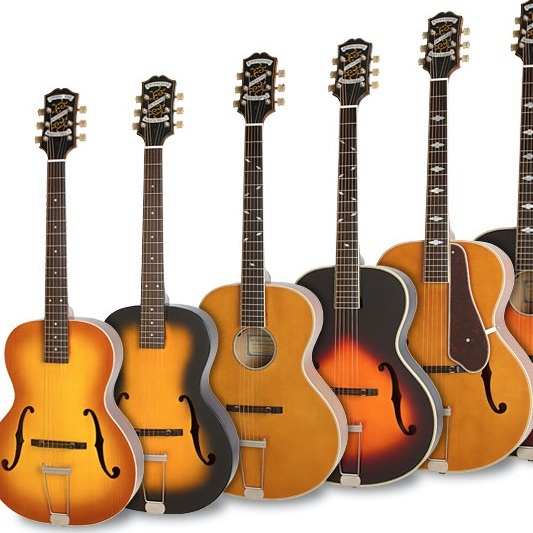 Chris Scruggs: I think the Masterbilt Century guitars are terrific. Especially for young players who may have always wanted an instrument like this but didn't have the $10,000 to spend on an Epiphone Emperor from the 40s or 50s. I think these will do a lot to bring attention to archtop guitars. In the past, I think a lot of people liked the way archtops looked they didn't know what to do with them in a performance setting. Buddy Miller: I love the way they look and I'm captured by the sound. Way back when, I got a Johnny Smith guitar, which didn't look that different-- it had a floating pickup in it. But it was kind of a one-trick pony. It's a great trick, but it was that muted dark sound that you hear in most f-holes--that Herb Ellis/Freddie Green sound. But I love the pickup in the Masterbilts that brings out the acoustic properties. It's kind of like it's own thing. Fats Kaplin: It's very versatile. You can play finger style, too or strumming. It's rare that one guitar can do both. Chris Scruggs: That's right. With the Johnny Smith style of guitar that Buddy was talking about-- that was the same era when they were putting P-90s in the J-160E. They were working with what they had at the time. But the downfall of that was as soon as you plugged it in, it no longer sounds like an acoustic guitar. Buddy Miller: That was your only option was to put an electric pickup in an acoustic guitar. But then it was no longer an acoustic guitar! 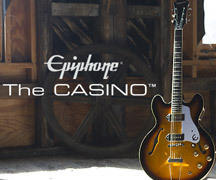 But with this you plug it in and it actually sounds like an acoustic guitar, which you can't get with other archtops. Fats Kaplin: When I was growing up and Buddy was growing up, there was no middle ground. You were getting crappy ukuleles or archtops or you were looking at vintage models at Matt Uminov's or Gruhn's-- which you couldn't afford. With the Masterbilt Century guitars they're well made, they stay in tune, they look great, they are very stable. You can take them on the road. They are quite good. And when I wanted an acoustic guitar, something like this didn't exist. Buddy Miller: The J-160E for instance was my first good guitar. I agonized over buying it-- hoping that would be the perfect instrument. I was in rock bands and bluegrass bands. And I saw the Beatles use it in A Hard Day's Night. But I got it and it was horrible (laughs) and I hated The Beatles after that. It wasn't loud enough to play with the bluegrass guys and every time I turned it up to play a solo it would feedback. So I've never stopped looking for an acoustic guitar that amplifies well and covers that range but doesn't sound like an electric guitar. If I'm singing a song I've got to have full range behind the vocal otherwise you can't give it everything you've got. It's not fun. Chris Scruggs: It's like skating on thin ice. You have to be able to trust the ground you're on. Buddy Miller: You're always thinking in the back of your mind 'why does this sound like this?' when you're trying to tell a story. I wish I had had one of these. Chris Scruggs: The main context that I would use this is when you've got a drummer involved or loud instruments on stage. I've got a nice L-5 at home but sometimes you can't hear it on stage. There's no way that guitar would project in a mix where the rhythm guitar needs to be. The nice thing about this is that it's not meant to compete with an L-5. It sounds very nice acoustically but the real strength is it's got a nice pickup in it which you can plug it in and play it to 10,000 people and they're going to hear every note. I don't think there's another archtop today or that has been produced in the past that comes factory-ready with a pick up quite like this. And it's got controls in the f-hole so you can adjust the volume and the tone. And the battery is easy to access. It's really a working musician's archtop guitar, which that hasn't been considered for a long time. For a long time working musicians didn't use archtop guitars. They got away from it after the folk boom-- the rock 'n' roll boom. Now players are rediscovering archtop guitars like Dave Rawlings-- and finding new voices for them. I love it.